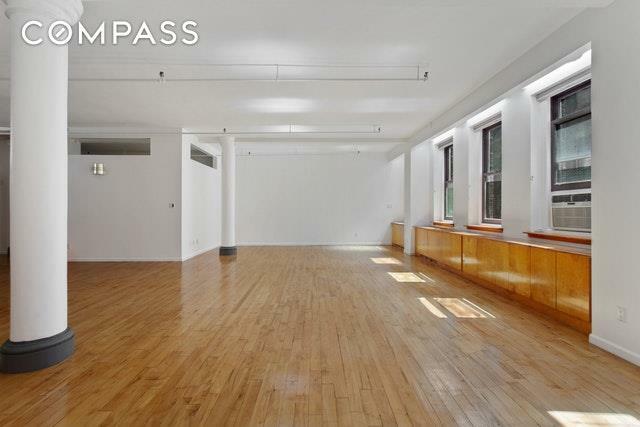 If you like square footage How about 2300sf? 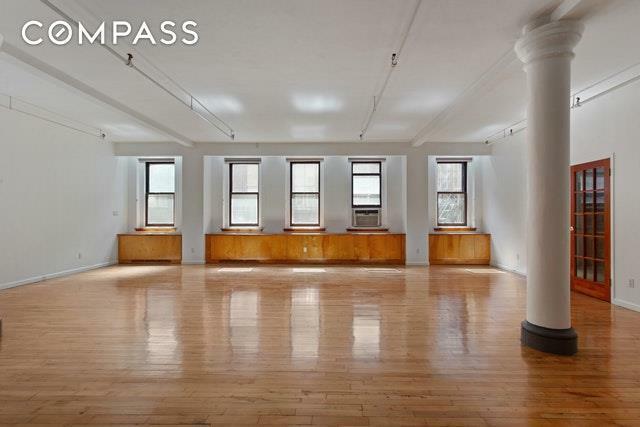 Find this MASSIVE LOFT on 40 West 24th Street, 6W and create your dream home. Prime Flatiron, Open Chef's Kitchen, Laundry Closets, Southern Exposure, Next to Madison Square Park, Next to 9 Major Subway Lines, All the space you want in a Landmark Location!Enjoy enormous size in one of the largest lofts in the building located in Flatiron and NoMad on 24th Street between 5th and 6th Avenues! 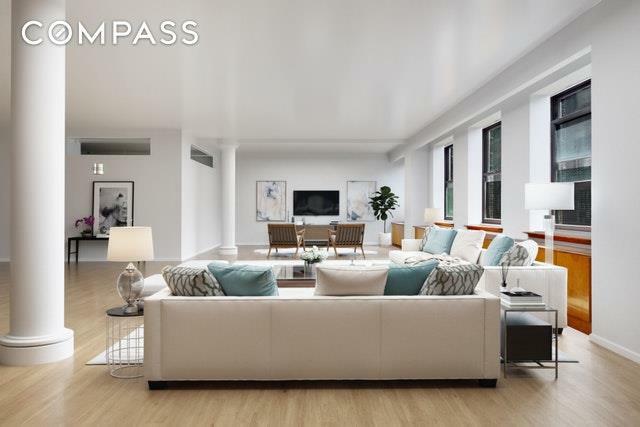 With 2,300 square feet of living space, this quintessential residence is a loft lover's dream and includes soaring 10+ feet ceilings, grand columns and unlimited options with a very flexible square-shaped floor plan that has a large open airy feel. The home includes perfect space to entertain with a massive 1,000+ square feet living space open floor plan incorporating a foyer, living room, guest rooms, dining room and open chef's kitchen, and a storage room with plenty more to spare. 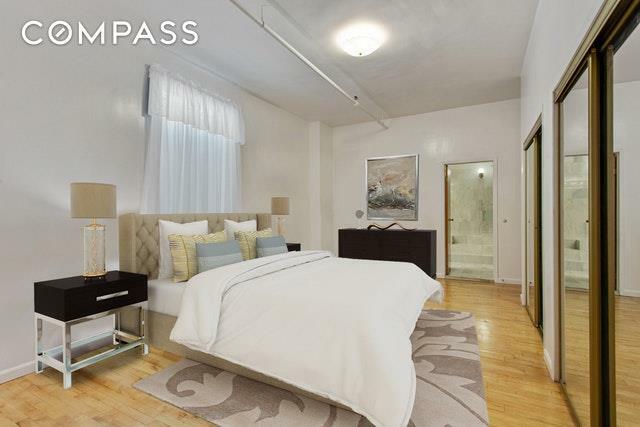 The high ceilings are 10+ feet high and include architectural pre-war details and water sprinklers. The remainder of the loft is currently configured into an impressive spacious and secluded master bedroom and an en-suite marbled master bathroom, a second guest room room, a third guest room, and a fourth guest room, a second bathroom, a laundry utility closet, and an additional 70 square foot designated storage room could be converted to a third bathroom. The residence has remarkable closet and storage space throughout and there is opportunity to renovate the apartment however you like! Building allows upgrading to Split-unit HVAC systems.40W24 is a ten-story neo-Renassiance boutique loft of 24 private residences at the heart of Flatiron and NoMad. Designed and built by Philip Goerlitz in 1905, this limestone and brick loft building features one of the most beautiful and thoughtfully landscaped roof gardens in the city with views of the Empire State building. The roof garden is also equipped with a BBQ grill for private entertainment with guests. Each floor of the building is concrete pre-war construction and promotes peace and quiet. The boutique building also includes a key-locked elevator system per floor, as well as a bike storage room, and is pet-friendly. The building is just one-half block away from Madison Square Park and all of its amenities, and steps away from Eataly, the New York Edition Hotel, and the world-renowned Eleven Madison Park restaurant. The building is within a 3-block radius of 9 major subway lines (6,R,W,F,M,1,C,E,Path) east and west that provide maximum convenience. The neighborhood offers the trendiest shopping along Fifth Avenue, fine restaurants, and top schools. Listing courtesy of Kevin Wong of Compass.